INDIANAPOLIS – Two weeks before Thanksgiving, the Centers for Disease Control and Prevention is warning people to be extra careful when handling raw turkey in the wake of a salmonella outbreak that has sickened 164 people in 35 states in recent months. Since the last update in the middle of July, 74 additional people in 26 states fell ill after coming in contact with raw turkey products purchased from a variety of sources. One person in California has died and 63 have been hospitalized in the outbreak. Minnesota and Illinois have seen the most cases, with 17 and 16 respectively. Illnesses date back to last November. Health officials are not advising people to skip the Thanksgiving turkey, just be careful when preparing the raw meat. Salmonella typically causes diarrhea, fever and stomach cramping, within 12 to 72 hours of consuming the infected item. Usually people recover without intervention in four to seven days. Some people, however, experience severe enough diarrhea to send them to the hospital. No single supplier of raw turkey products or live turkeys has been identified as being the source of the outbreak. Health officials say that the strain involved may be widespread throughout the turkey industry. Three of the people became ill after feeding their pets raw turkey. Another trio of people who developed salmonella either worked in a turkey processing facility or lived with someone who did. Federal health officials recommend that people who are preparing raw turkey take precautions to prevent food poisoning. They advise people cooking turkeys to wash their hands before and after and use warm soapy water to thoroughly clean any surfaces that may have come in contact with the raw meat or poultry juices. 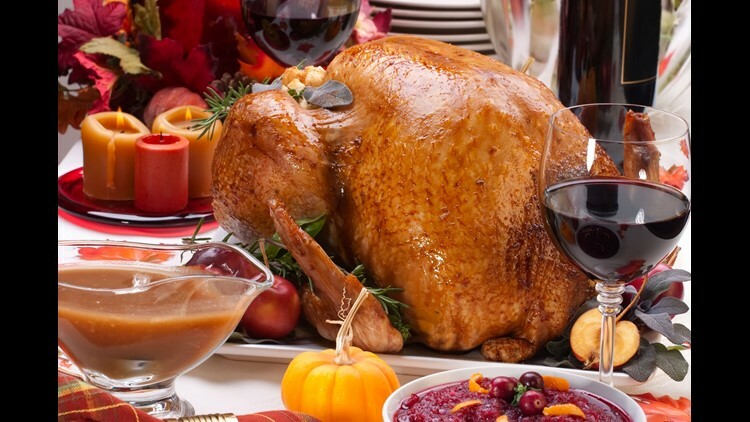 People are advised to thaw turkey in the microwave or in the fridge in cold water, which is changed every 30 minutes. Turkey should not be thawed by leaving it out on the counter. When cooking turkey or any leftovers that contain any turkey, make sure that it reaches an internal temperature of at least 165 degrees Fahrenheit. Health officials also warn against feeding raw turkey to pets. But they don’t say anything about dropping a cooked piece from the Thanksgiving table.